's birthday yesterday, so you know what that means: my traditional birthday present drawing for him! 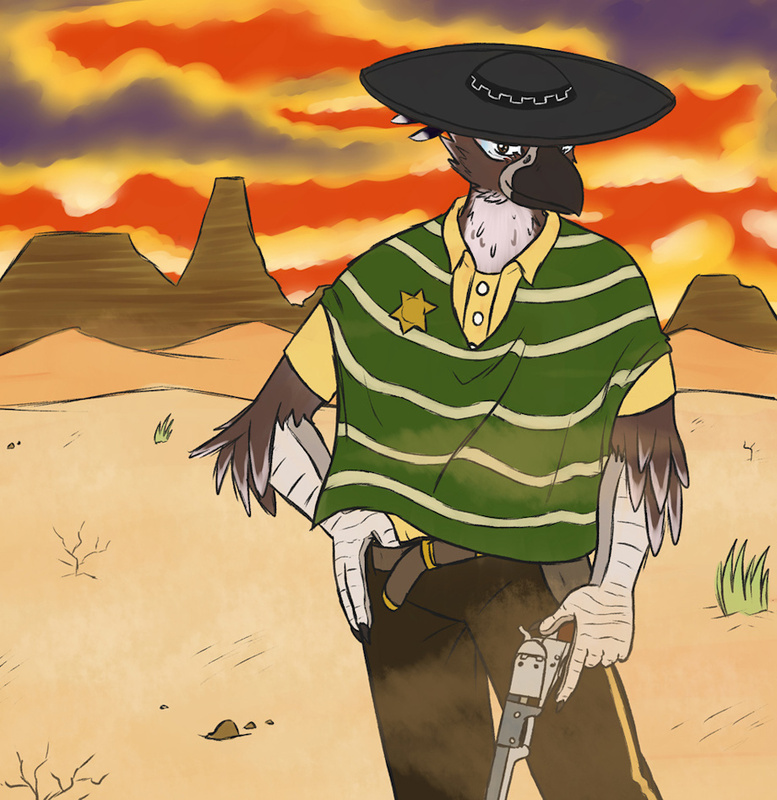 This year I drew his roadrunner character Ikal Tinalto from his webcomic The Order of the Black Dog (which I help edit). He starred in Issue 7, and is starring in the current Issues 11 and 12, in fun cowboys and aliens stories. You should check it out if you haven't already! There's a couple of other versions, mostly messing with the sky, but I'll just link the sepia-toned version that I made cause, well, cowboy-era photos and stuff.